MRI-guided Biopsy vs. Fusion: What’s the Difference? 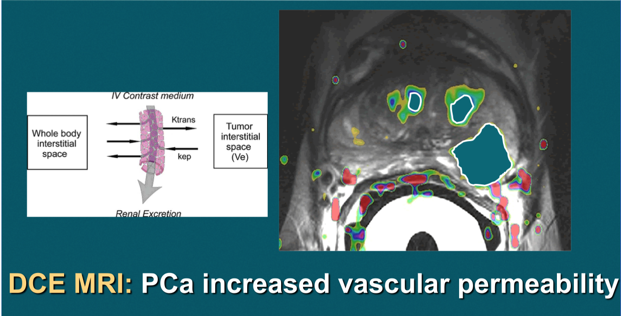 Advanced prostate imaging is accelerating an important evolution in biopsy technologies. Ultrasound and MRI are the two main types of imaging used to aid prostate cancer diagnosis. In particular, the use of multiparametric 3T MRI is creating a huge change in prostate cancer detection and diagnosis because of its superior imaging ability over ultrasound. Fig. 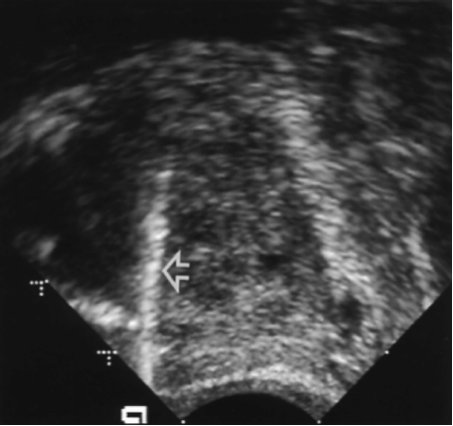 1a: A typical TRUS transverse view of the prostate (front to back) shows the shape of the gland. Fig. 1b: A typical TRUS sagittal view of the prostate (from the side) shows the tapered shape of the prostate. The taller end is the rear, or posterior, and the shorter end is the front tip of the prostate, or apex. The white line indicated by the arrow is a biopsy needle. TRUS misses cancer up to 30% or more, resulting in what is called a false negative. 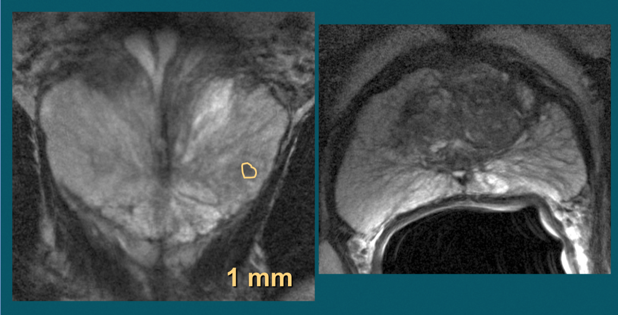 Studies designed to correlate tumors identified by mpMRI in pre-prostatectomy patients confirm the accuracy of the MRI images when read by an experience radiologist, then compared with the surgically removed prostate specimens. 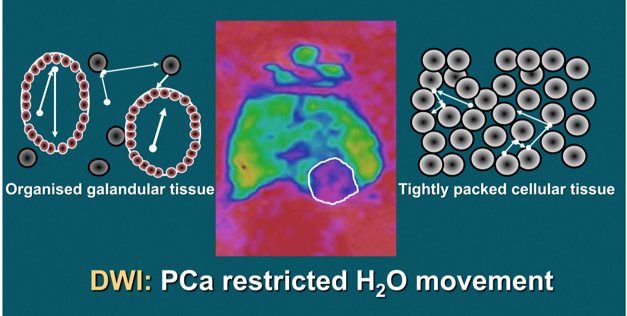 According to an authoritative Dutch center, “Multiparametric (mp)-MRI has been shown to be highly accurate in detecting and localizing intermediately aggressive and highly aggressive cancers.”[iii] However, they caution that the experience of the radiologist conducting prostate MRI is crucial to how well images are captured and interpreted according to the highest standards. Fusion is a fluid process that involves “de-forming” an image and warping it to blend with the form of another. For medical purposes in the prostate, fusion merges previously captured MRI images with live TRUS images while the ultrasound wand is inserted. Only a very small number of U.S. urologists have the necessary knowledge, equipment and software to do fusion, and there are several fusion device manufacturers in the marketplace that may not be equal in performance. How does it work? Prostate fusion imaging is usually done in the urologist’s office to help identify the target area for the biopsy. 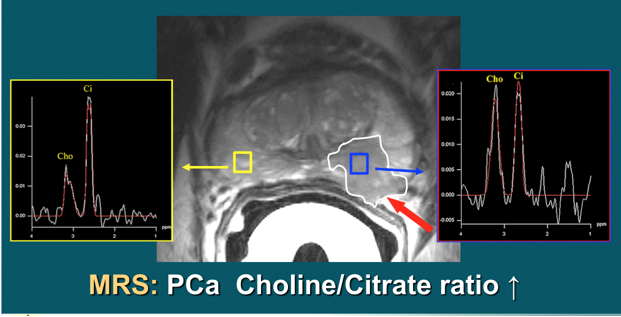 The urologist must be specially trained to read prostate MRI and identify the area of interest (suspected tumor). The urologist must also “segment” or input the prostate outline into the computer to facilitate matching MRI and TRUS shapes. Special software is necessary that can recognize both types of images, assign “coordinates” to each type, and match (register) the images coordinate-by-coordinate. This is called image registration or co-registration, and it overlays the live TRUS image onto the static MRI image. The result a synthetic 3D image of the patient’s gland that is quite accurate, but not perfect due to possible error artifacts such as patient movement, inaccurate segmentation, etc. 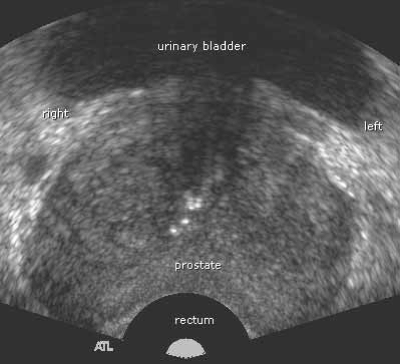 The final 3D image can be manipulated on the computer screen so the urologist can view it from every angle, and the suspicious area is highlighted within the image. Experts agree that targeted fusion-guided biopsies are generally more accurate in detecting and diagnosing prostate cancer than traditional TRUS biopsies. Depending on the software or fusion device, the computer may help plan the sampling based on the target area(s) within the gland as depicted in the fused images. The urologist who is using fusion technology can follow the plan, or override it. This includes the number of needles, and the angle of approach. The TRUS verifies the placement of the needles, which show up on the monitor. It is our belief that the fusion-guided biopsy is a positive addition to the field of urology, helping urologists bring targeted biopsies into their practice. However, we also believe that MRI imaging done live, in real time, has no substitute. There is no need for a “middle man” like fusion, with its extra steps (and therefore room for some distortion). Live MRI imaging, read and interpreted by recognized prostate MRI expert Dr. Dan Sperling, is quickly becoming the preferred prostate biopsy guidance that can best inform decisions for tailored prostate cancer treatment. [i] Van de Ven WJM and Barentsz JO. MRI/US-guided biopsy—a viable alternative to TRUS-guidance. Nat Rev Urol 2013;10:559-560. [iii] Van de Ven WJM and Barentsz JO. MRI/US-guided biopsy—a viable alternative to TRUS-guidance. Nat Rev Urol 2013;10:559-560.